Texas law grants the board of trustees the power to govern and oversee the management of the district's schools. The board is the policy-making body within the district and has is responsible for curriculum, school taxes, annual budget, employment of the superintendent and other professional staff, facilities, and expansions. The board has complete and final control over school matters within limits established by state and federal law and regulations. 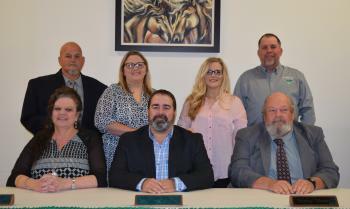 The board of trustees is elected by the citizens of the district to represent the community's com­mitment to a strong educational program for the district's children. Trustees are elected by place and serve 3 - year terms. Trustees serve without compensation, must be registered voters, and must reside in the district. The board usually meets at 6:00 p.m. on the second Monday of the month in the Annex Building. Special meetings may be called when nec­essary. A written notice of regular and special meetings will be posted at the administration building at least 72 hours before the scheduled meeting time. The written notice will show the date, time, place, and subjects of each meeting. In emergencies, a meeting may be held with a two-hour notice. All meetings are open to the public. In certain circumstances, Texas law permits the board to go into a closed session from which the public and others are excluded. Closed session may occur for such things as discussing prospec­tive gifts or donations, real-property acquisition, certain personnel matters including employee complaints, security matters, student discipline, or to consult with attor­neys regarding pending litigation. child, here are the steps that should be taken.